IPv6 routing protocol redistribution | CCIE, the beginning! Though the transition period from IPv4 to IPv6 is going to last for a long time in which both protocols will coexist, we shouldn’t forget that the final goal of IPv6 is to completely replace IPv4. The best way to gain more experience with the new intricacies and challenges of IPv6 is to test IPv6-based services in the presence of IPv4 as well in a pure IPv6 environment. The purpose of this lab is to test redistribution between IPv6 routing protocols in an exclusively IPv6 environment. So I am following exactly the same scenario as the previous post about IPv4 redistribution and I will point out some particularities related to IPv6. I will start by the problematic design of redistribution from one routing domain into another with lower (better) administrative distance. If you are not familiar with routing redistribution I strongly recommend you to take a look at the previous post. As an example, I picked up the case where the source routing domain is EIGRP (internal prefix AD =90 and external prefix AD = 170) and the destination domain is OSPF with a better AD of 110. The network 2001:DB8:123:3333::/64 can be administred with a different IGP than EIGRP or just a directly connected network (a loopback interface in our case). Because EIGRP differentiates between internal and external prefixes by assigning different Administrative Distances, the prefix 2001:DB8:123:3333::/64 become (D EX) with AD=170. For the sake of simplicity, EIGRP prefixes are redistributed into OSPF and vice-verse on R2. Is seen in the EIGRP topology table (IPv4/IPv6). Remember that in a border router each protocol will separately calculate the route to a given destination and submit it to the RIB for the “competition”. The RIB will choose the best route to the prefix+mask and the unique winner protocol is the one with the lowest administrative distances. So EIGRP calculated a route to 2001:DB8:123:3333::3/64 directly through R3 and OSPF calculated a route to the same prefix 2001:DB8:123:3333::3/64 through R4. The RIB will choose OSPF of course because it has better (smaller) administrative distance of 110 against 170 for EIGRP. R1#ping ipv6 2001:DB8:123:3333::3Type escape sequence to abort. The primary path to the prefix 2001:DB8:123:3333::3 is chosen through OSPF domain which is suboptimal because it is 1st redistributed into EIGRP123 then a second time into OSPF124. We know that during redistribution between different protocols there is inevitable loss of homogeneity of routing information due to deformation of criteria: attributes for BGP, BW and delay for EIGRP, cost for OSPF and hop for RIP. So what we can do at the border router to influence the choice of the best route to a given prefix? 3.3- Filter prefixes from IGPs into the routing table using inbound distribute-list. Now prefixes originated from EIGRP, including the redistributed 2001:DB8:123:3333::/64, are reachable through EIGRP, because their OSPF EXT variants have worse administrative distance 180 against 170. Now, EIGRP prefixes reachable through OSPF. Let’s perform summarization of the prefix 2001:DB8:123:3333::3 on R3 to a shorter mask length of /60 before announcing it to R4 then to R1. To keep the routing information consistent inside OSPF area, summarization has to be done at the ABR or ASBR. R1 has received the summary address 2001:DB8:123:3330::/60 and consider it as different from 2001:DB8:123:3333::/64 received through EIGRP. – Check whether the prefix you want to redistribute exists in the RIB of the border router and belongs to the IGP source of the redistribution. – IPv6 routing requires only link-local addresses (fe80::/10) to a establish the relationships within a segment, even if the mask or the subnet doesn’t match. The discrepancies will emerge later. So make sure to carefully plan and deploy your address scheme. 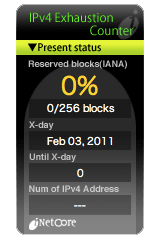 – Many IPv6 commands are the same as for IPv4, the keyword “ip” is replaced by “ipv6”. Nevertheless, what is easy to do can also be easy not to do. After a couple of hours with the contrast of the CLI, you will start glazing over J and you will notice that the device doesn’t react to your commands.